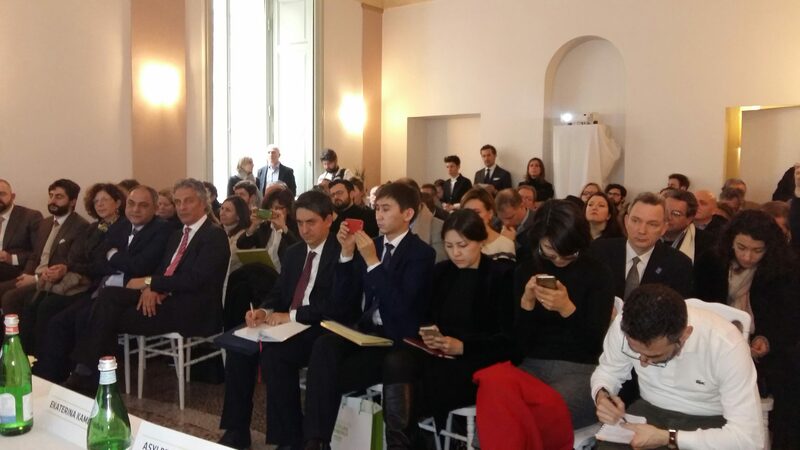 Milan, February 6th 2017,The World Expo Commissioners Club hosted in its headquarters in Piazza Duomo 21 in Milan the first press conference in Italy for the presentation of Expo Astana 2017 Future Energy in occasion of which the passing of the baton from Expo Antalya 2016 has been held. Expo 2017 Astana will be held in Kazakhstan from the 10th June to the 10th September 2017 and will see the participation of over 100 Countries and 18 International Organisations, with an estimated affluence of 5 million visitors. 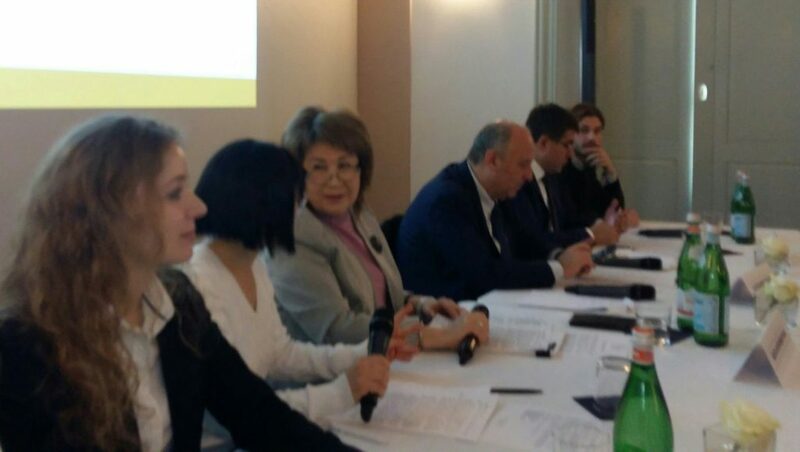 At the Milanese presentation were present Firat Isik, General Secretary of Expo 2016 Antalya who passed the baton to the representatives of Expo 2017 Astana represented by Roza Assanbayeya, Promotion and Tourism Deputy Director of Astana Expo 2017 National Company and President of Kazakh Tourism Association, Ekaterina Kameneva, Head of Project – Official Ticket Operator of Expo 2017 – Kassir.com. 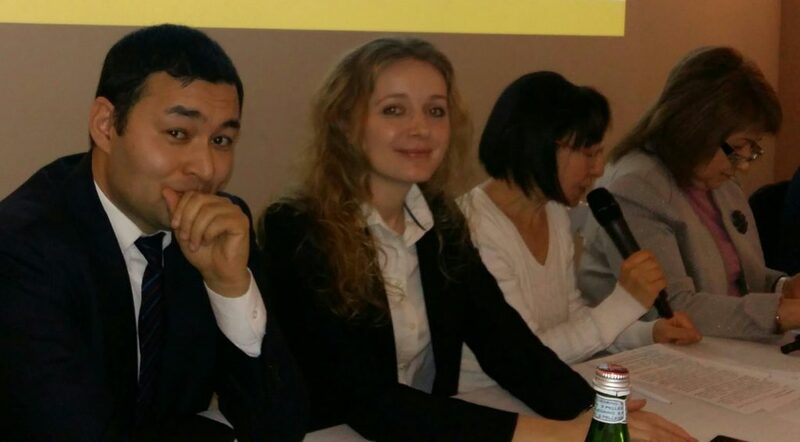 and Asylbek Tauasarov, Advisor of Ambassador of Kazakhstan in Italy. 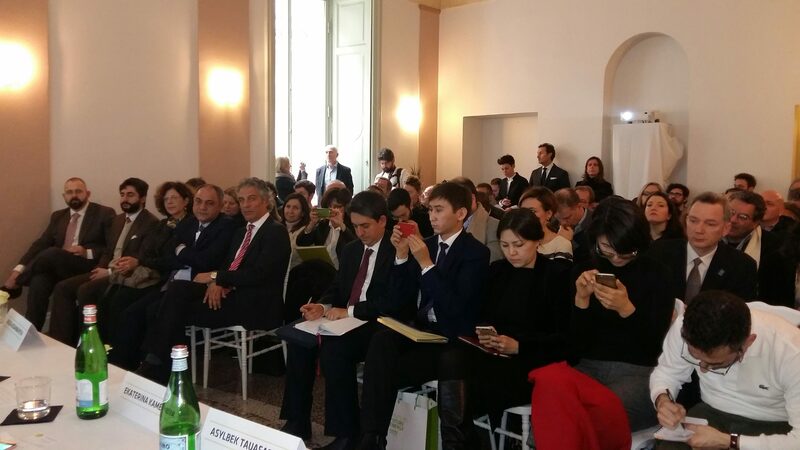 The conference was concluded by Alessandro Rosso, Chairman of Alessandro Rosso Group, who presented the projects of the Group for the promotion of the International Exhibition of Astana. 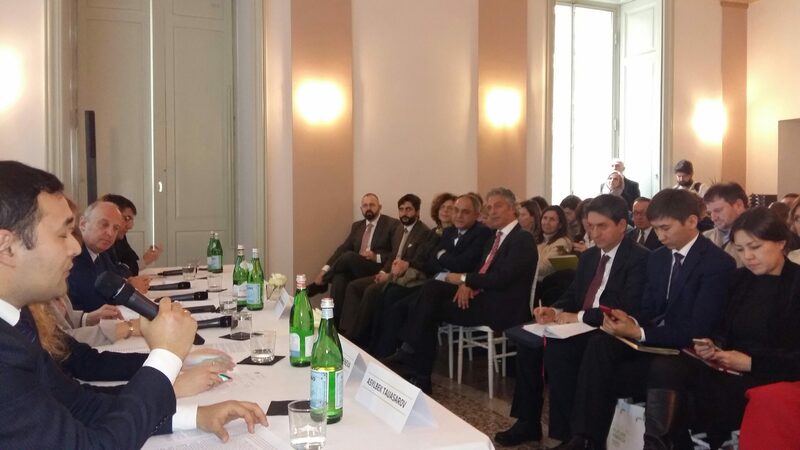 The theme chosen for this International Exhibition Future Energy will deal with issues related to the responsible and efficient production of energy in the near future and its relation with the environment, with particular reference to renewable energies. 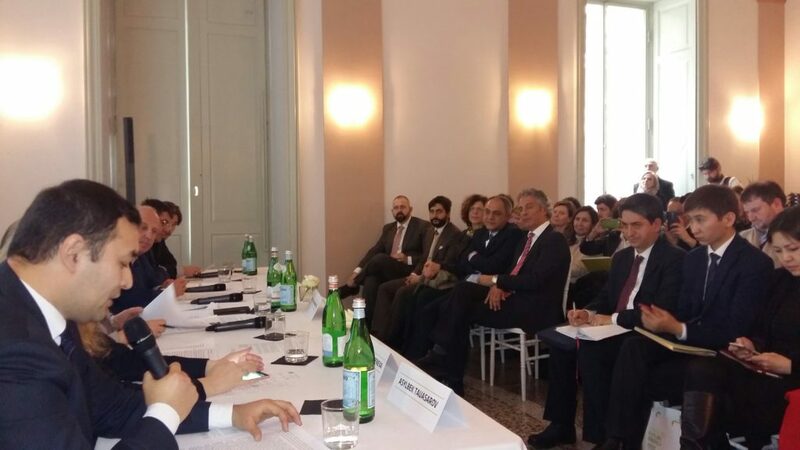 Thanks to the experience developed in the previous editions of Expo Shanghai 2010, Milano 2015 and Antalya 2016, Alessandro Rosso Group is a qualified partner for the promotion of Expo even thanks to tourist packages made to measure which include the entrance tick to the Expo. 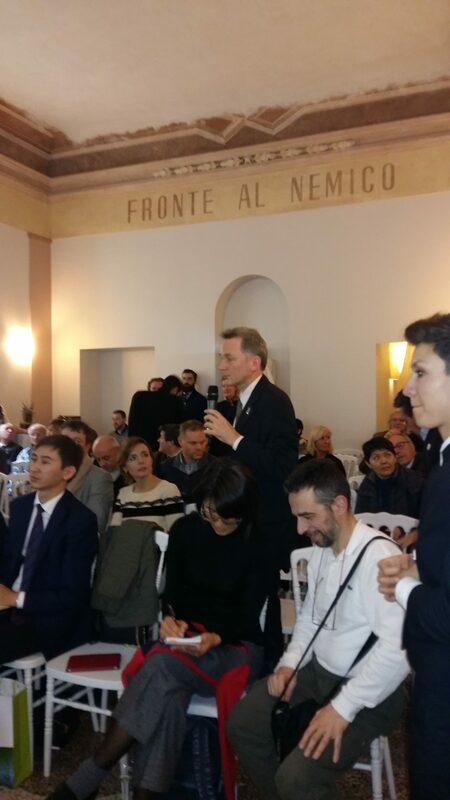 The Group offers itself, also, to the participating Countries as partner for the set up and management of the Pavilions and internal restaurants in the exhibition area. 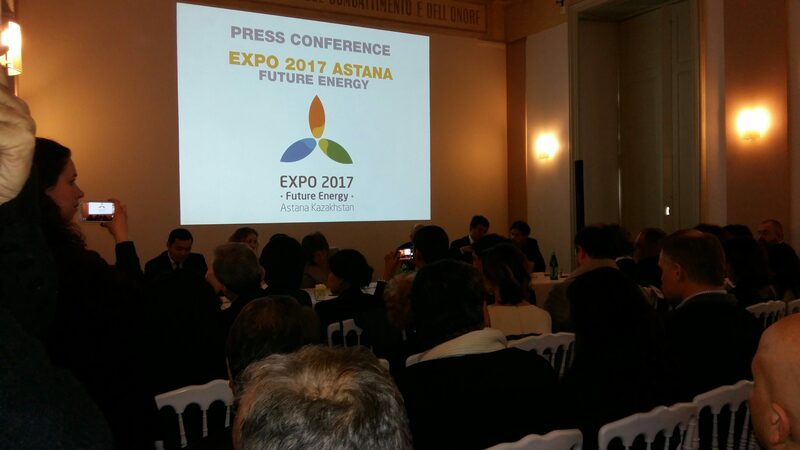 “Thanks to our know-how we are certain of being able to give an important contribution to the success of Expo 2017 Astana”, says Alessandro Rosso who likes to define himself as an “expo-optimist” and has decided to invest and continue to invest significantly in the world of International and Universal Exhibitions.